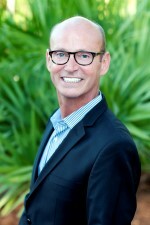 Scott Russell, winner of the “Brilliant Boss” award by Simon T. Bailey, spent 18 years with The Ritz-Carlton Hotel Company most recently as Vice-President of Global Sales, North America, was the Vice-President of Sales and Marketing for Sandestin® Golf and Beach Resort in Destin, Florida and also served as strategic counsel for the Marriott Courtyard and Marriott Residence Inn. 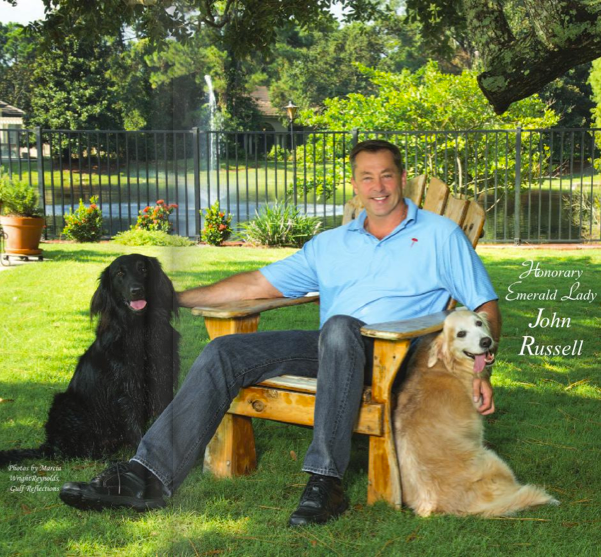 His new ventures with Dynamic Sales Solutions and Russell & Russell Consulting have allowed him to provide his unique touch to many more luxury hotel organizations and lifestyle hospitality clients. You’ve won many awards for leadership in the industry. What makes for a great leader in hospitality? The most important aspect of being a great leader is always putting yourself in the shoes of those you are leading. You need to be able to see things from their point of view and if you would not want to be led in that fashion then neither will they. Being a great listener, someone willing to take chances and having an air of confidence and not arrogance are all traits of great leaders. You can’t learn how to be a leader from a class but you can from your internal compass. What is your advice for hotels who want to attract high end clientele? High end clientele require a great deal of touch points and sales people need to know that relationships need to be built on trust. I love that if you look at the words Client and Customer you will find the words “I” and “Us” inside of them, which reminds me that a great relationship built on trust requires two parties…the customer and the salesperson. It is not a one way street. How has becoming an independent consultant changed your career? Deciding to be a consultant has changed me for the better and has been such a blessing in a number of ways. I am able to share my learnings in an environment that is totally built on trust. I feel the communication is non-threatening and allows for great conversations to happen on both ends. I always say if I don’t have knowledge or ideas to share with my clients then I have no value to offer. I recently formed a sales training company with a great friend and partner, Kate Harth. This is truly were my passion comes out. To be able to impart learning in an environment that is relevant, creative and real inspires me every day. What recent trends have you seen in the industry? This year we are realizing that even with all of the technological advances, our customers and guests still want face to face personalized service. While we will always want to provide the ease of the newest technical advances, we can’t forget why the customer has chosen to do business with us. I also feel that “lifestyle” in branding will become more about how the customer defines it than how the brand defines it. Occupation: I have four separate professional occupations. I am an independent contractor for Destin Charity Wine Auction Foundation; a partner in Russell and Russell Consulting with my best friend Scott Russell and a partner in Russell Vacation Rentals, also with Scott. I am a taste tester and informal consultant to my wife in her new business Michelle’s Kitchen To Go. 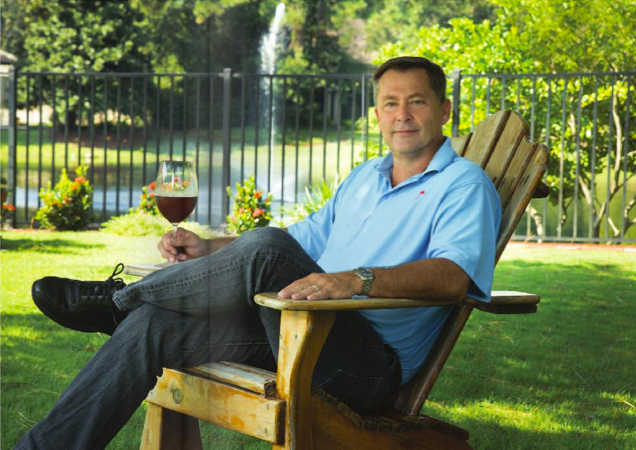 What are the goals and accomplishments of the Destin Charity Wine Auction Foundation (DCWAF)? The mission of DCWAF is to connect wine enthusiasts to raise money for children in need. Our first auction was in 2006 and we raised $80,000. In 2014 we raised $2,000,000 at our auction and a total of $3,000,000 when all other fund raising activities are included. Our 2013 auction was ranked as the sixth largest charity wine auction in the United States by Wine Spectator magazine. Our 2014 auction revenues were up $700,000 or 52.9% over 2013. We are proud of the fact that we will donate $2,035,000 to 12 charities this year. Our goal is to continue to find new ways to increase the funding we are able to provide the people on the front lines of serious issues challenging the children of our community. These charities are the real hero’s and if we can provide them funding they can focus on helping the children who are victims of abuse, of homelessness, of hunger. Kids who are mentally and physically challenged, kids who just want a safe place to learn and play. We have a real sense of urgency because a child is a child for only so long and we need to get us much money as possible to these charities as fast as we can. Where do you envision DCWAF to be in 5 years? We are just coming off an incredible year of growth. While it would be great to think we could do that again each year it is probably unrealistic. Our typical growth rate is 15% a year and if we achieve that in five years we will just over $6,000,000 in total revenue! Destin Charity Wine Auction Foundation Honors and Awards: In 2012 we were the 10th largest charity wine auction in the U.S. according to Wine Spectator magazine; 2013 we moved to number 6. We are not sure where we will be in 2014 but perhaps top five. What brought you to the Emerald Coast? In 2001 I was managing the Ritz-Carlton in New Orleans and we came to Destin on vacation. Michelle and I were having lunch at the harbor and I distinctly remember turning to her and saying “Why don’t we ever get moved to a place like this?” In 2009 Intrawest offered me the position at Sandestin and we finally found our home. Are you involved with any other charitable/community organizations? In my career I have been the Chairman of the Savannah chapter of the American Heart Association and Treasurer of the St. Louis chapter. I was also Chairman of the Savannah Convention and Visitors Bureau and Chairman of the Walton County Chamber of Commerce. Before accepting my current position with DCWAF I was Chairman of the Board. What is your greatest challenge today? It is very difficult to find enough time to continually invest in those relationships that are most important. What worries you the most about the world today? The failure of our political leaders to find the middle ground and work together to keep our country safe and secure with good jobs for anyone willing to work. What do you do for fun? My wife and I love to entertain at our home but quiet times with our dogs, a few close friends and a great bottle of wine are pretty special too. Hobbies: I have a serious reading addiction so there are always a couple of active books on my Kindle; all things wine of course because wine is a never ending quest for knowledge. Golf when I can carve out the time, and at least an hour a day working out with the early, early risers at the fitness center. Honors and Awards: My most valued achievements are those of the teams I have worked with. The Ritz-Carlton in Tysons Corner was the highest performing hotel in the company during my time as GM, the Ritz-Carlton San Juan was voted number 1 hotel in the Caribbean and Latin America by Travel and Leisure magazine our first full year of operation and the Ritz-Carlton in New Orleans was awarded five diamonds by AAA our first full year of operation. A small boutique hotel that I helped design while in New Orleans was featured in Architectural Digest. What is your most memorable moment? The memory of watching the second plane go in to the World Trade Center on television from my office in the Ritz-Carlton in New Orleans with a plane ticket to New York for that day on my desk will never leave me. The senior leadership team for Ritz-Carlton was scheduled to be at the World Trade Center for a trade show the next day. It was only later that a friend reminded me that the trade show had originally been scheduled for the morning of September 11th. The date had been pushed back to September 12th just a few months earlier. What is your favorite childhood memory? Working with my dad on anything; he was a great home repairman and an incredible gardener. As the only boy of six kids I spent a lot of weekends working side by side with my dad. I didn’t appreciate it as much then as I do now but every time I fix something or plant something I thank my dad for the lessons I learned at his side. Finish this statement. My parents always told me: eat your vegetables. I didn’t like them then and I don’t like them now. It was a constant battle at the dinner table and the best thing about being an adult is not having that conversation over dinner! Favorite Book: That is an impossible question but certainly one of the most influential books I have read is The 7 Habits of Highly Effective People by Dr. Stephen Covey. Worst Habit: Watching The Walking Dead. Why I am fascinated by zombies is something I can’t even try to explain! Best Asset: An incredible group of mentors from my earliest days in the hotel business to those that willingly guide me today. They all have given me many lessons that I can call upon whenever faced with a challenge. Favorite Sport: Football; everything else is just something to entertain us; football is life. As a missionary from the Big Ten down here in the land of the SEC and ACC I am always hopeful someday in my lifetime that the Big Ten will once again field a couple of teams that can actually be competitive with the teams surrounding us. Most people would be surprised if they knew: All of my sisters are 5’5’’ or shorter. If I were stuck in an elevator with someone, I would like it to be: The guy in charge of the building because he will get us out faster than anyone else! If you could make one wish, what would it be? If I could make one wish it would be that someday there will no longer be a reason for charities that support the needs of children.